What is Radio Fax - And Is It Still In Use Today? Radio fax, which also goes by the name of HF fax or Weatherfax, existed before the advent of modern day fax machines and slow-scan televisions. It is an effective monochrome image transmission technique. Although the first patent for a fax machine’s amplitude modulator was first patented in 1911, faxes only started being utilized to transmit data around the 1920’s, when American inventor Charles Francis Jenkins used it to demonstrate one of his inventions to the NAVY in 1926, while it was widely used to transmit weather charts above landlines and HF radios during the 1950s period. Another famous American inventor and engineer, Richard H. Ranger, used fax to send an image from New York to President Calvin Coolidge in London, using his Photoradiogram in the year 1924. Similar to the more popular fax technology, radio fax scans each line individually, thereafter decoding the information found to create an electric signal which is conveyed via radio wave or phone line. To this day, it is still possible to obtain information that is transmitted via radio fax, using an FTP download that can be acquired from the National Oceanic and Atmospheric Administration. The common uses of radio fax include distributing information that is related to the weather and the climate, as well as shipping in locations where there is little to no internet or phone line availability. The typical speed at which radio fax transmits information is at 120 lines per minute. However, radio fax is not limited to that number, as color fax and monochrome ones can transmit up to 240 lines per minute. However, it takes hours to transmit one full day’s news via radio fax. 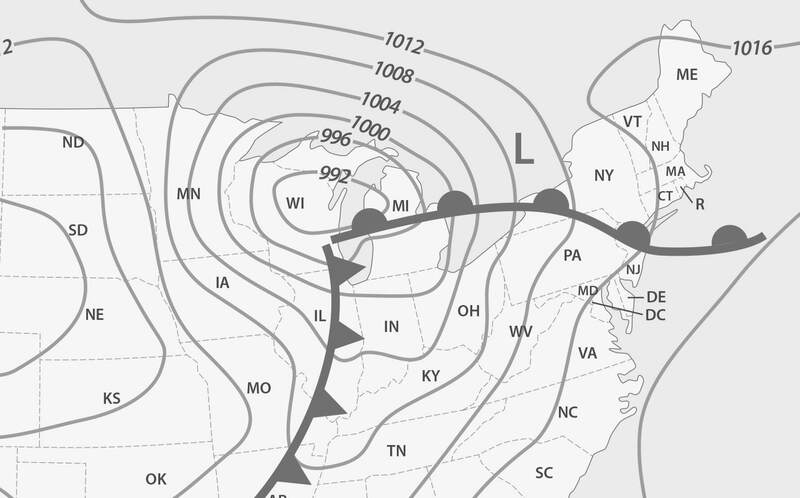 Today, radio fax is mostly used to transmit weather data and charts in coastal regions. In the United States specifically, provision stems from organizations like the National Oceanic and Atmospheric Administration, the Tropical Analysis and Forecast Branch, the Tropical Predictions Center and National Hurricane Center, as well as the National Coast Guard and National Weather Service. In addition, the radio fax information can also come through the NWS and Ocean Prediction Center. In Canada, radio fax is transmitted by Canadian Forces Meteorology and Oceanography Center (METOC). The very first newspaper that was delivered via radio fax was through an experimental radio station called W9XZY, which was ran by the St. Louis Post-Dispatch. Today, the only news agency that still utilizes radio fax to communicate with fishing fleets in the Pacific Ocean is the Kyodo News newspaper in Japan. Furthermore, communicating weather charts via radio fax is very useful for maritime and aviation operators, as it supplies them with accurate and up to date information on weather forecasts that they can use to effectively prepare for their trips accordingly. Over the years, the use of radio fax has seen a rapid decline due to new technology that allows a quicker transmission. The internet remains one of the biggest drivers of this decline, with the ability to perform many of the tasks that businesses previously relied on fax to complete, in a faster and more efficient manner. However, through advances in technology and the advent of online fax services, the two have been blended together to create a unique and more accessible service for businesses. This has made using a fax service much easier and available when compared to using normal fax hardware, hence, the latter has been slowly phased out. But, despite that fact, radio fax is still in limited use today, as evidenced by its utilization by the NOAA and NWS for the transmission of weather charts, helpful weather forecasts to ships that are out at sea, as well as satellite weather images. In addition, the International Ice Patrol in the North Pacific uses radio fax to originate weather data that is used to help prevent iceberg accidents such as that which occurred with the RMS Titanic, while the data is then broadcasted through the Boston station during the peak iceberg season, which is between the months of February to September. Internationally, radio fax is also used for similar purposes of transmitting weather charts in maritime, through stations such as the CBV, Playa Ancha Radio station in Valparaiso, Chile, the Bureau of Meteorology in Australia, the German Meteorological Service which broadcasts from Pinneberg, Germany, as well as several other countries in Europe, with Japan boasting two stations where it transmits via radio fax. The National Oceanic and Atmospheric Administration (NOAA) still hosts up-to-date radio fax data which they have made available as FTP downloads through their internet website. However, actual radio fax communique of graphic marine forecasts is still very useful for shipping vessels, which often have very limited internet access. In conclusion, radio fax remains a very useful resource of transmitting data to ship vessels as well as avian users who benefit from its accurate communication of to-the-minute weather predictions, which are then used to properly plan for voyages that affect millions of lives today. In addition, although there are fax resources that are available through the internet, radio fax hardware is still very much relevant for those with limited access to the internet, such as with sea vessels that require detailed weather charts and sea conditions. Fax can also still be used to transmit accurate data over phone lines, via newspaper transmission and through brick and mortar stations around the world, that are dedicated to weather chart transmission. Therefore, analogue data transmission via radio fax is still a viable, efficient, relevant and reliable option for these applications when compared to online services that are available through the internet. Although the latter is undoubtedly quicker, modern and more secure, it is difficult to work with in conditions that have limited internet access and cannot, therefore, provide maritime and avian users with the flexibility and agility to accurately plan for safe expeditions.